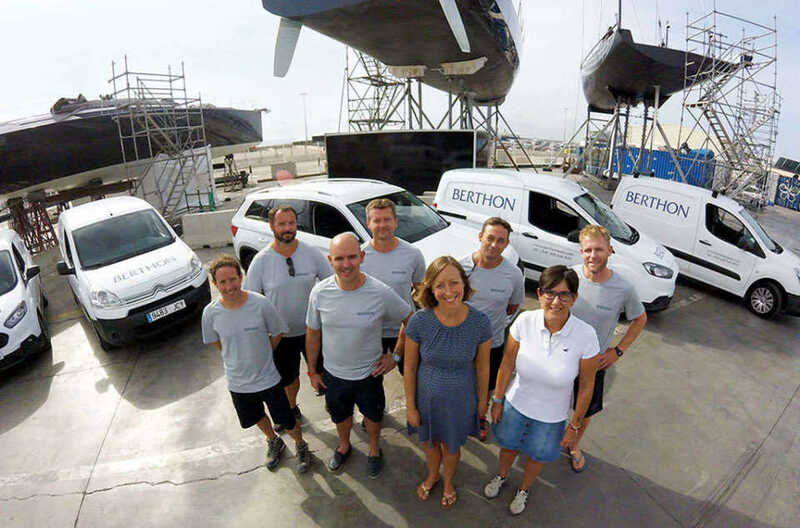 Berthon Spain operates in Palma de Mallorca, which is at the heart of the yachting scene. It is without a doubt the centre of sales for larger sailing yachts and motor yachts in the Mediterranean. We provide a comprehensive technical service for yacht owners of both motor and sailing yachts in Palma. Our experienced team of technicians are experienced in yacht refit and repair and we have mechanical engineers, shipwrights and painters on the team. We are also able to assist with yacht care with a comprehensive guardiennage and valeting service. A tightly knit team, we are passionate about yachts and yachting and we are all from a sailing background. We have a dedicated workshop in Palma and we are fully licensed and insured to work in all the marinas and yards on the island of Mallorca. We are also able to assist with the yacht sales process and we work closely with our UK HQ and the other international Berthon offices on this. Because we are knowledgeable about all the major brands we can talk about the yachts that are for sale with Berthon in Palma and we are able to offer support both through the sales process and also to the new owner to accomplish any needed upgrades and familiarisation with the yacht. The team is headed by Andrew Fairbrass who was a yacht captain prior to moving ashore in Palma and he looks forward to discussing your yacht and your plans for her in Palma.